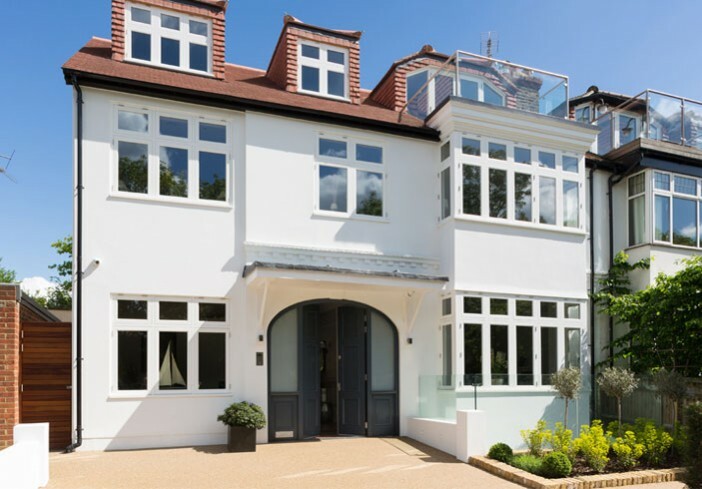 Specializing in transforming fairly conventional houses into fabulously unique yet practical homes, Apeks Developments require high quality materials, a superb finish, adherence to exacting specifications and flexible service. Initially Apeks Managing Director sourced Clearstone to lay a resin bound driveway and paths at his own home where he wanted a clean, smooth surface that was hardwearing yet soft to the touch. ‘Our director was extremely happy with the resin bound Clearstone installed at his own property,’ says Apeks Developments Project Manager Adam Ramalingum. With Clearstone resin bound driveways there are no joints – even on the largest areas – ensuring an uninterrupted surface. Just sleek natural beauty – the perfect complement to the contemporary, state-of-the-art homes that Apeks creates. ‘Clearstone’s service is excellent: Sales Director Andy Forsey is extremely helpful and prompt at arranging to measure up. In the last development at Suffolk Road in Barnes where Clearstone laid a driveway and internal garage space, we ended up having to push the job back twice. But a couple of ‘phone calls to Andy and he re-scheduled. Clearstone staff went out of their way to accommodate us,’ says Adam. And Clearstone experts control the whole installation process so clients are assured of quality workmanship and service throughout. At Lonsdale Road, Barnes, Clearstone partnered Batten Civil Engineering to provide a full service from dig out and groundworks to installing 41m2 of Bronze Trio resin bound. From quirky to traditional, ultra modern to heritage in residential, public or commercial settings, Clearstone resin bound is the perfect paving installed by a company with a reputation for quality and reliability. Clearstone’s resin bound provides a stunning and long lasting surface. ‘Clients are very positive about resin bound,’ says Adam. They are delighted with Clearstone’s palette of the full range of colours and the fact that it is vehicle, pedestrian, wheelchair and buggy friendly. 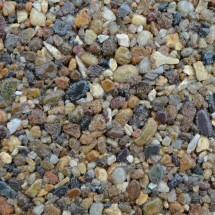 SUDS compliant and low maintenance, Clearstone’s resin bound provides a stunning and long lasting surface. Clearstone mixes only the highest quality UV-stable resins and aggregate blends, so their paving won’t crack or fade and, because they formulate their own products, Clearstone offers a truly bespoke service. With a background in landscape design and building, Clearstone craftsmen are able to design and install motifs, decorative effects, logos, numbers and letters.